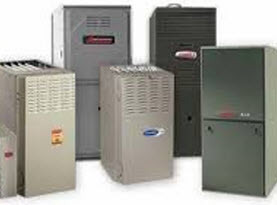 Across Hampshire and Hamden County, Massachusetts, commercial business owners and residential homeowners have a reliable source for all their HVAC system needs from Ambient Heating and Air Conditioning. Being fully licensed, certified, and insured gives us the opportunity to provide our professional expertise at affordable rates. 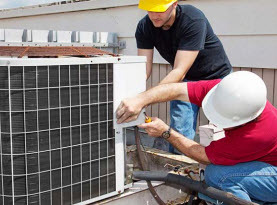 Ambient Heating and Air Conditioning has become a reputable HVAC contractor because of our diligence to bring our valued customers an extraordinary experience from start to finish. We deliver superior workmanship, friendly customer service, high moral standards, and exceptional work ethics on a consistent basis. Ambient Heating and Air Conditioning recruits the best in the field. Having advanced training, experienced, and phenomenal skills; our technicians are more than capable of tackling any service we offer our valued customers. Ambient Heating and Air Conditioning prides ourselves on utilizing high-end products and equipment sold only to licensed professionals to guarantee premium results. Ambient Heating and Air Conditioning provides commercial and residential properties with our comprehensive air conditioning inspection service. 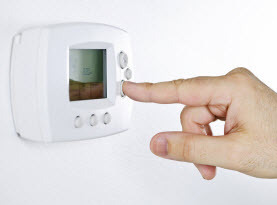 During the warm seasons, having a reliable air conditioner keeping your home or business comfortable is essential. Whether your air conditioner is experiencing abnormalities, or appears to be performing efficiently, investing in an air conditioning inspection service from Ambient Heating and Air Conditioning can ensure your unit is operating efficiently and spot any issues early on before major problems develop. 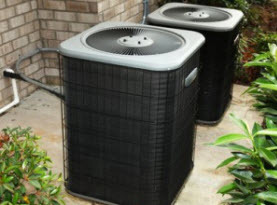 – Check and clean condenser coils, air filters, contact points, drain pan and condensate drains to prevent water overflow. – Leak test all coils and connections for Freon leaks. – Check capacitors for hazardous leaks. – Inspect for interior cabinet contamination and mold growth. – Clean and sanitize evaporator coil for mold and mildew prevention. – Check all supply vents for proper air circulation. – Test heating elements for trouble-free operation. – Check crank case heater and safety controls. – Check all pumps and auxiliary equipment. – Check reversing valve for proper operation. – Lubricate motor and blower bearings. – Note all corrosion spots and apply protective film, on equipment as needed. – Inspect, clean and spray controls and switches. – Check thermostat calibration & battery life. – Check all electrical components for proper operation. – Check all wire connections and replace, as needed. – Check all relays for trouble-free operation. – Test compressor’s running amperage. – Document motor amperages to compare to future visits. – Check refrigerant flow control device. – Test and monitor refrigerant pressures. – Check operating temperatures and temperature drop across coils. If your air conditioner in your home or business throughout Hampshire and Hamden County, Massachusetts is in need of an inspection, contact Ambient Heating and Air Conditioning to conduct our comprehensive air conditioning inspection service today!